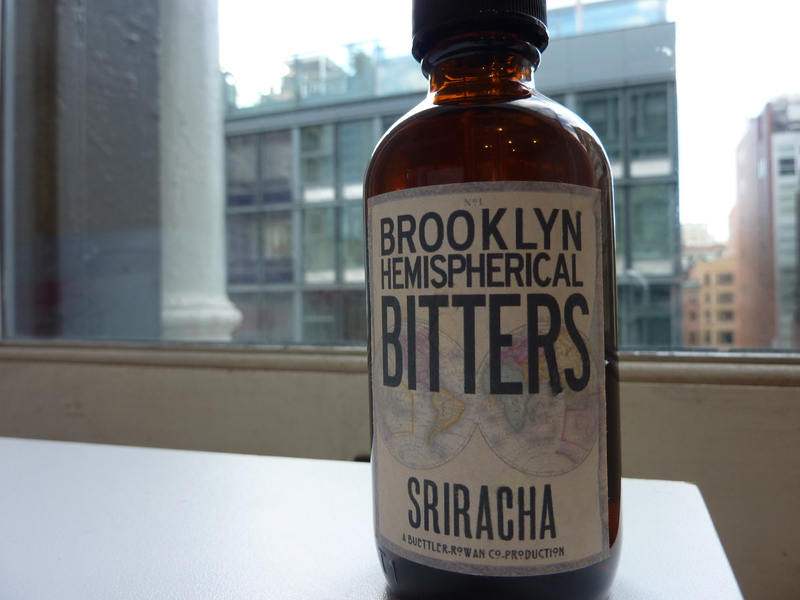 Sriracha (pronounced SIR-rotch-ah) bitters by Brooklyn Hemispherical Bitters. A bit spendy, at $12.95 for 4 oz., the flavor is true to the beloved "rooster sauce". I opted for the recipe printed on the back label of the bottle: Srirazerac. 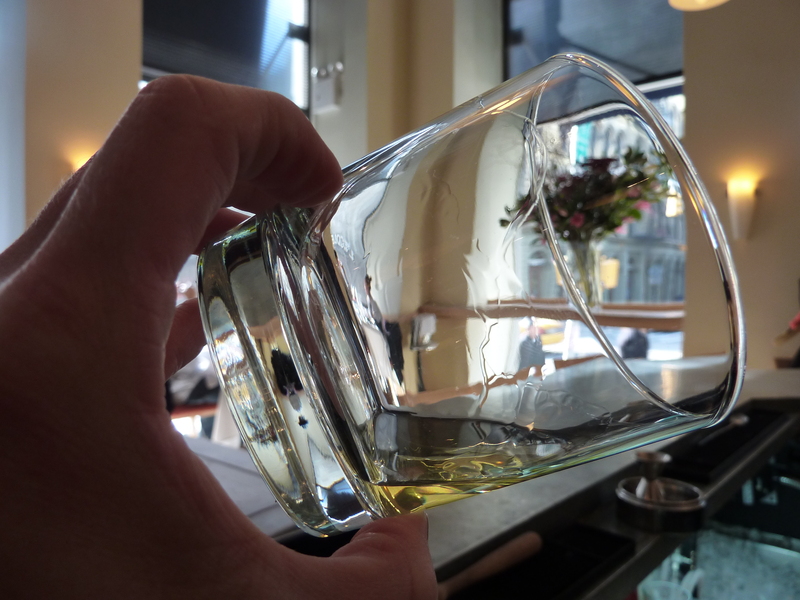 Step 1 is to coat a rocks glass with Absinthe. In a stirring glass with ice, I added 2 1/2 oz. rye (I used McKenzie). 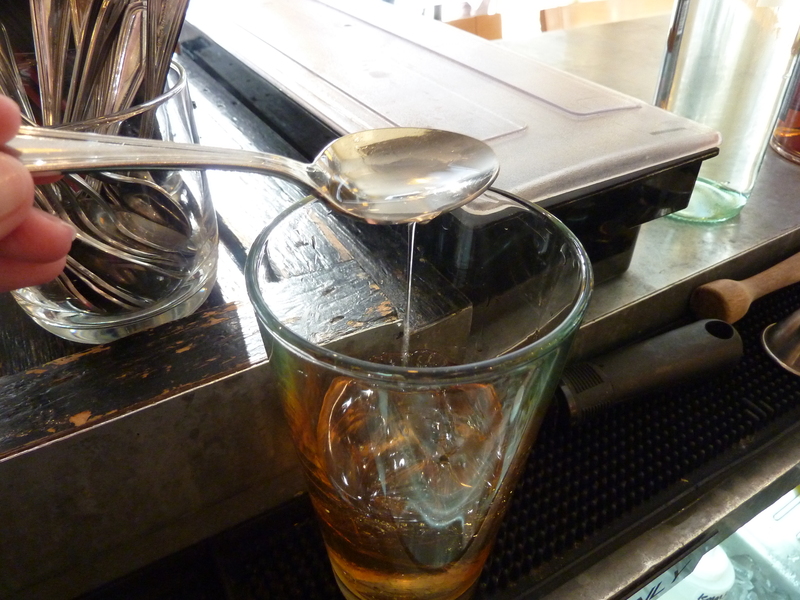 This is 1 teaspoon of simple syrup going in. Next was 2 dashes Peychaud's, followed by 2 dashes Sriracha Bitters. The dropper in the bottle yields less than a dash would, so that, combined with how spicy you'd like your drink, should dictate how much you add. The finished cocktail, garnished with a lemon peel and a few additional drops of Sriracha Bitters. 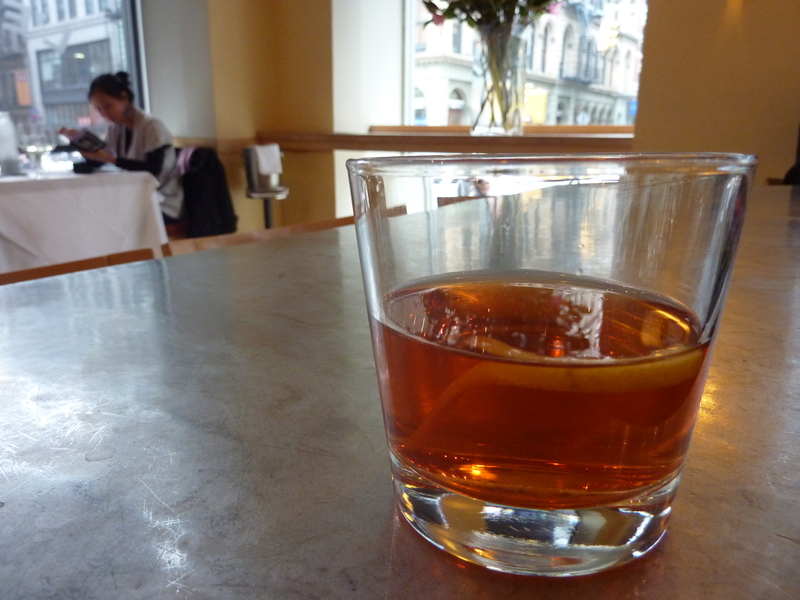 It's not terribly complex, but I really like rye, so I'm not the best judge in this instance. The best part is the finish - an intense, yet pleasant heat creeps up on you. These bitters are definitely worth experimenting with. Stay tuned.